Reem’s California and Play-Well TEKnologies had an idea to bring together the community around food and play. If you had the chance to design the Fruitvale, how would you design it? What else would you add to the Fruitvale District that you currently think is missing? How would you make the Fruitvale even better than it is now? We gave them 40,000 LEGO® pieces and this is what they came up with. This event was part of the Oakland Cinco De Mayo 2017 Event hosted by Oakland City Councilmember of District 5, Noel Gallo. If you’d like us to build your neighborhood/city out of LEGO, check out our Special Events Page. Check out our Play-Well Pleasanton LEGO Activity Center Video. We are having our Summer Preview event on Sunday, June 9th from 11 AM – 3 PM. Check out all of our cool summer programs and play with LEGO for FREE! For more information on the event, visit http://bit.ly/PlayWellPleasantonSummerPreview! Giving Away LEGO on April 1st! While doing inventory, we realized that our instructor kits have too much LEGO. So, we need to get rid of thousands of LEGO pieces. If you’d like some, just comment below. One last important piece of information: APRIL FOOLS! We recently had so much fun running our new JEDI Engineering w/LEGO program. Our instructors that are Star Wars nerds are really into teaching these programs, getting kids excited about the world of Star Wars, and answering what role engineers played in creating this world. We ask our students, “who do you think built the X-Wing, Tie Fighter, Millenium Falcon, Death Star, Imperial Cruiser, Clone Troopers, and even the Jedi Academy? Engineers.” Then as engineers, we begin to reconstruct the world and story lines of Star Wars through our LEGO building. Check out some pictures from a JEDI Engineering camp we recently held in Ventura County, CA. 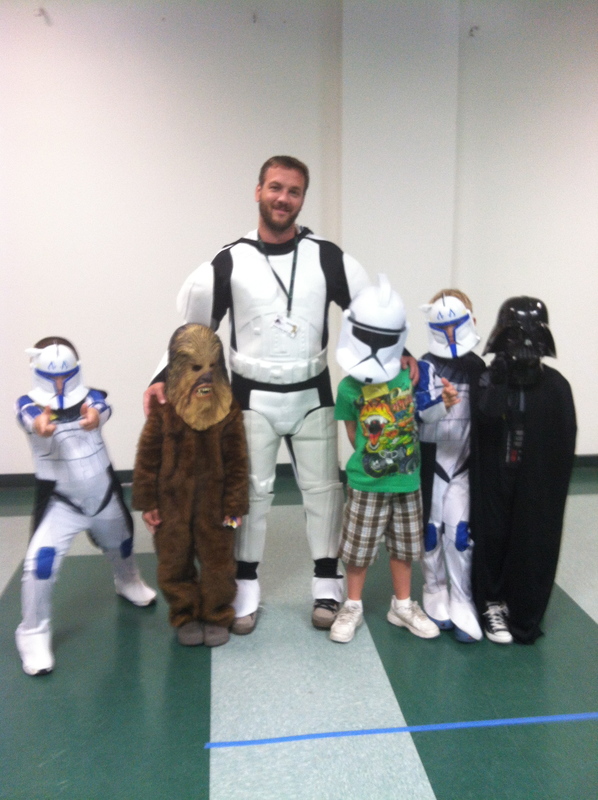 Our staff member, Jared, with a group of mini Jedi Engineering builders. 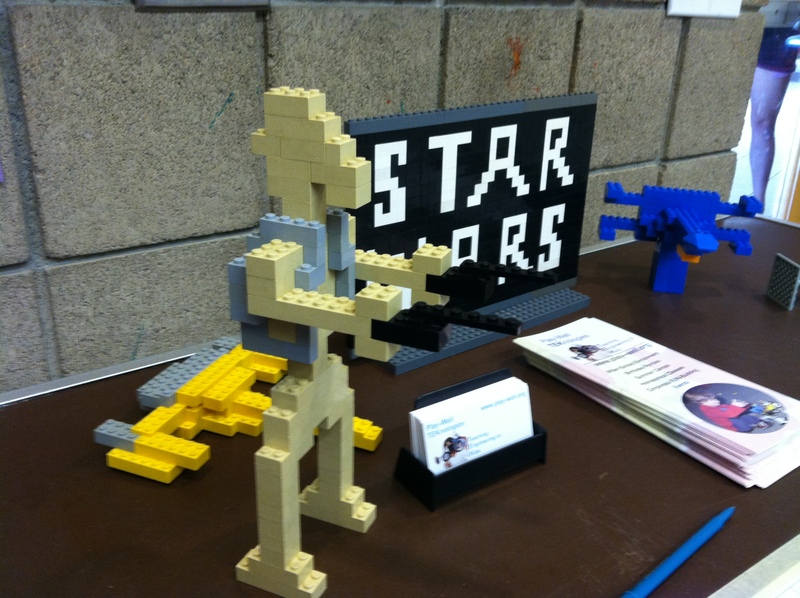 A LEGO battle droid model and a X-Wing prototype welcomed these Jedi Engineers to the camp. If you’d like more information about our JEDI Engineering programs, click HERE. We will be offering JEDI Engineering camps in various parts of the country this summer. If you’d like to know if we are offering these camps in your area, simply click here and search for camps near you: http://www.play-well.org/summer/2013/. 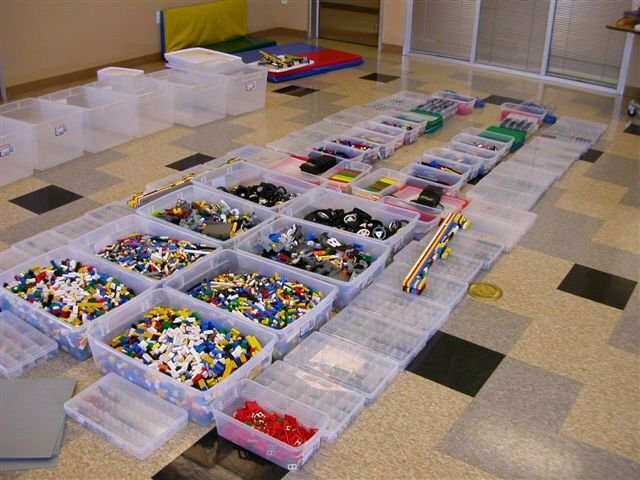 Play-Well Engineering w/LEGO Birthday Party (Value: $300.00) and two Swoop Bags (Value: $96.00). 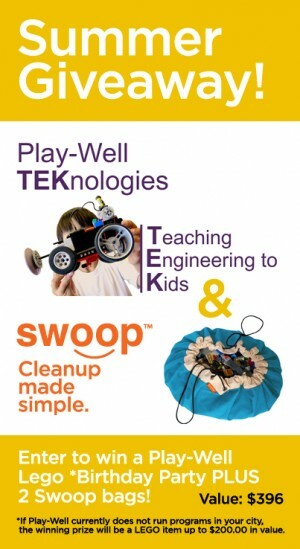 Play-Well TEKnologies provides project-based programs designed to teach the principles and methods of engineering to children, ages 5 – 14, using LEGO®. Play-Well has been growing future engineers since 1997. Swoop bags are the ultimate modern TOY STORAGE BAG + PLAYMAT in one. Introducing Our Newest Center: Play-Well Ventura! Play-Well Ventura, our newest activity learning center, is now up and running! The center is offering many fun classes, summer camps, and mini-sessions to the families and schools of Ventura County and beyond. The Play-Well Ventura center began as a vision of Ben Pfister, the Ventura/Santa Barbara Area Manager. He wanted to create a space where children could build, explore, and create while also working on their own individual interests and inspirations. As Ben said, “I want to make it a space where everyone can find something they are drawn to. I imagine a space with sick catapults and crazy machines mixed with beautiful paintings and delicate sculptures out of clay and wire.” His desire to combine and welcome children’s diverse interests and creative directions plays a major role in what makes Play-Well Ventura unique. Here at Play-Well Venture, instructors don’t think that work and fun have to be mutually exclusive. They want to inspire children to partake in a hybrid of the two, “learning in disguise, work that doesnt feel like work.” This vision came to life with the “Thinking Creatively: Mind-Mapping” class currently being run at Play-Well Ventura. This amazing class asks students to use a powerful idea-generating process called “mind-mapping” to explore different angles of a central theme chosen for the group. Students can choose from science, art, history, personal observations and many other tracks as a means to creatively consider and approach the groups theme. Then the class “harvests” their ideas and uses them as inspiration to create a piece of art, assemble an informational piece or narrate a story which explores the student’s unique perspective of the class theme. This is just one of the many amazing and exciting classes being offered at Play-Well Ventura. From a Leonardo Da Vinci summer workshop to Robotics classes to a Comic Strip Story-Telling with LEGO® camp, Play-Well Ventura has something to offer for every child. So, come by and visit our center and prepare to be creative, to think outside of the box, and to explore. You may find something you never thought possible.